Our 60W Vintage Edison S60 Squirrel Cage Incandescent Filament Light Bulb with E26 base is perfect to position within a clear shade or exposed socket to enjoy its shape and ambient glow. You can easily create a retro vintage look in any room or illuminate your clean modern style with pizzazz. The glowing cage-shaped filament surrounds a central glass support and is crafted to preserve the look of early 20th-century lighting. These bulbs can be dimmed and have a lifespan of 3000 hours. 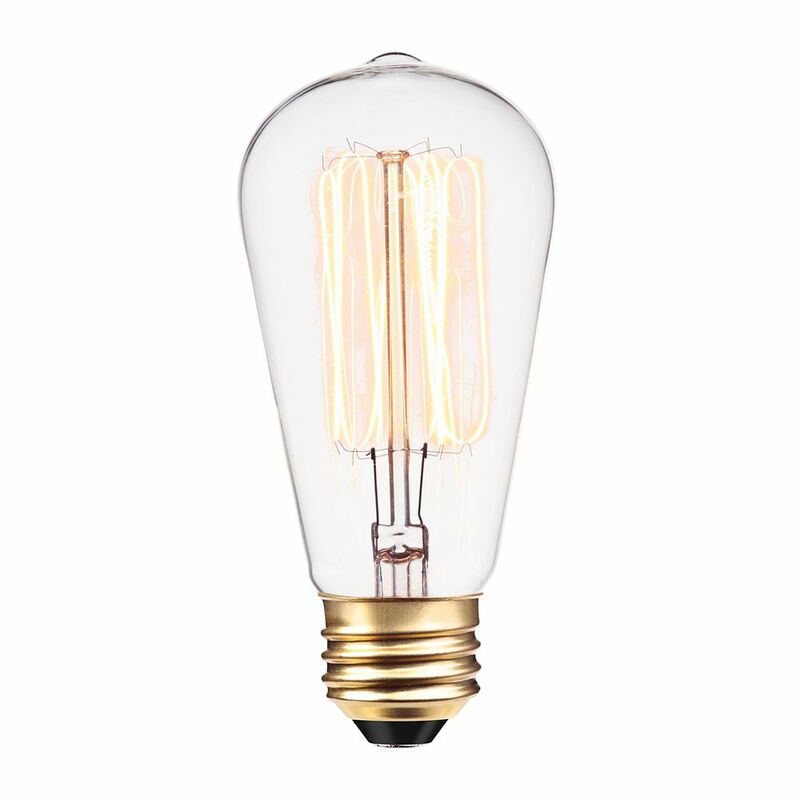 60-Watt S60 Squirrel Cage Incandescent Filament Light Bulb Our 60W Vintage Edison S60 Squirrel Cage Incandescent Filament Light Bulb with E26 base is perfect to position within a clear shade or exposed socket to enjoy its shape and ambient glow. You can easily create a retro vintage look in any room or illuminate your clean modern style with pizzazz. The glowing cage-shaped filament surrounds a central glass support and is crafted to preserve the look of early 20th-century lighting. These bulbs can be dimmed and have a lifespan of 3000 hours. 60-Watt S60 Squirrel Cage Incandescent Filament Light Bulb is rated 4.1 out of 5 by 54. Rated 5 out of 5 by Keke from Exactly what was advertised. They look great. Exactly what was advertised. They look great. Rated 5 out of 5 by Deen from This bulb looks great and add beauty to the lamp.... This bulb looks great and add beauty to the lamp. It vintage look makes your room more appealing. Rated 1 out of 5 by Jc from I bought these because they were suggested for the light I also bought and two of them blew apart... I bought these because they were suggested for the light I also bought and two of them blew apart days after buying them. Rated 5 out of 5 by Indygal from This bulb was just what I needed for the wall hanging lamp that I hung in my small dining area. I... This bulb was just what I needed for the wall hanging lamp that I hung in my small dining area. I didn't want something that was really bright but that gave ambience.